Hi, this is Kerri from the Bay Area Short Sale Angels, we are Bay Area’s number one short sale team. Today I’m going to talk about the short sale process before the BPO. 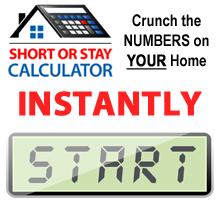 Where that starts is with you and making the decision to go through with the short sale process. There are other decisions that you could have made but you’ve done your research, you’ve talked to people, you’ve consulted with attorneys and tax advisors and you’ve decided a short sale is the way to go. At that point you will call the Bay Area Short Sale Angels, that’s us. We will generate listing documents and disclosure documents for you and also a short sale package customized to the bank or banks that you might owe money to. At that point, you are going to fill all of that stuff out even though some of it may be something that you’ve seen once or twice before. Then once we get all those documents we are able to move forward and put the property on the market. Typically we list the property at 10 to 15 percent below market value and we’re going to generate the most activity possible and get not only a buyer in first position but hopefully one or two back up offers. Once we go on the market we typically have two Sunday open houses and then we take offers after that. After we receive offers we set up an appointment with you to review the offers because you’re going to be the one that chooses which offer gets sent to the bank. The bank gets to decide whether they are going to accept or deny it but you are the one that ultimately gets to choose which one gets sent to the bank. Once we have an offer then we have a complete short sale package and we can initiate the short sale with the bank. You may be thinking we’ve already initiated the short sale, and yes we have had conversations with the bank but the true short sale doesn’t get initiated until we have a purchase agreement. Once we send in the completed package, it usually takes about one to two weeks to get assigned a negotiator. Once they feel that everything that they need to move forward is in that package then they will order a BPO. A BPO is a Broker’s Price Opinion, AKA a poor man’s appraisal. The bank hires a real estate broker to go by and give their assessment and find out what the value of your home is. You’ll have to check in with the next video to see what happens after the BPO. This is Kerri from the Bay Area Short Sale Angels where we believe there’s nothing worse than doing nothing. 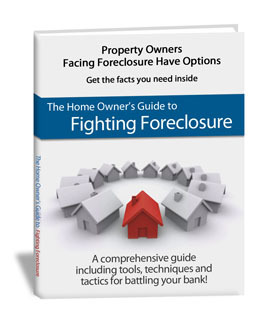 We’re Bay Area’s number one short sale team and we look forward to working with you.